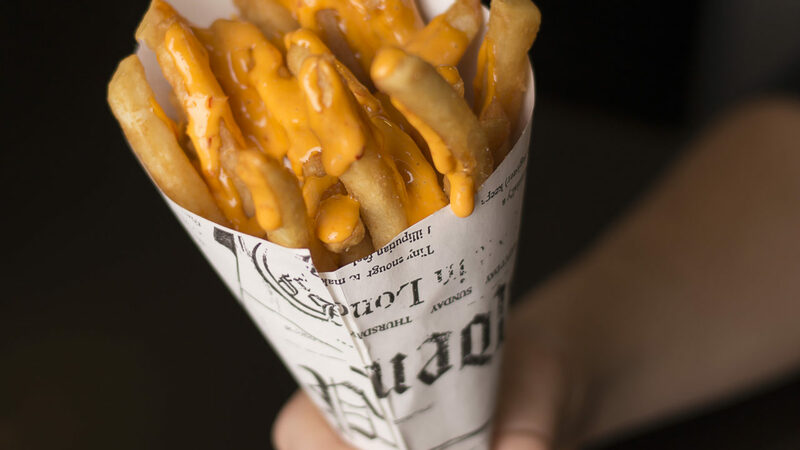 A gourmet fry café specializing in crisp and delicious, made-to-order, topped French Fries and finger food favorites. Menu highlights will include topped fry basket meals such as the Rocky Balboa with sirloin, sautéed onion, sweet peppers, mushrooms and melted cheese, as well as Crispy Chicken Fingers, Mac ‘N’ Cheese Crunch Rolls, and more. 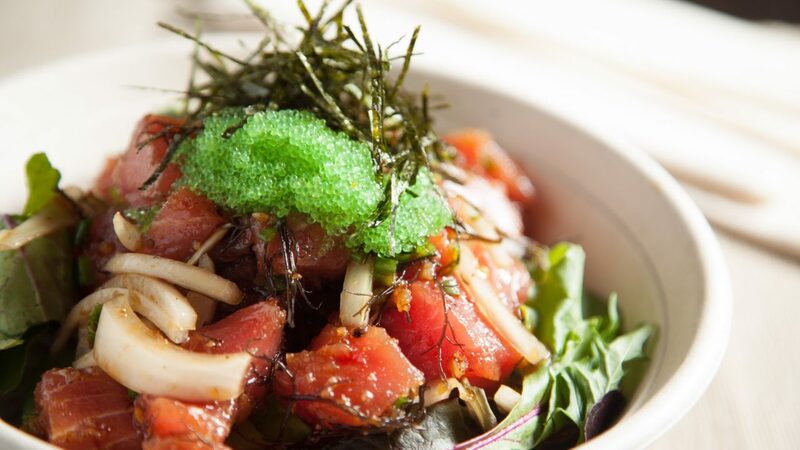 Abunai Poke is bringing the taste of Hawaii to Philadelphia with a selection of modern Hawaiian dishes and poke, including spicy salmon, tofu, and garlic ahi tuna options. Patrons can choose from a variety of signature bowls and will also have the option to create custom variations. Each meal is made-to-order with the freshest ingredients. Aloha! From Top Chef’s Sylva Senat and Philly entrepreneur Uri Pierre-Noel, Baby Buns will serve fries, buns and the ever-popular rosé wine slushy, frosé. 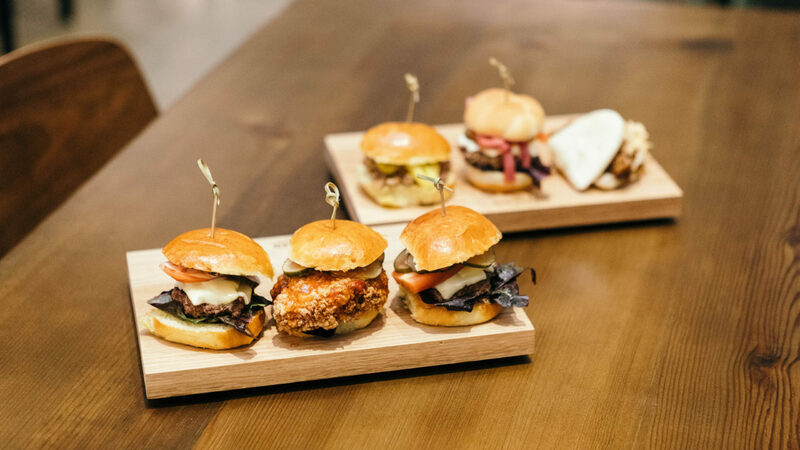 A combination of bold, international flavors with American-style sliders, Baby Buns will be a sure crowd pleaser! Baked fresh daily, Barry’s Buns is an all-natural, made-from-scratch bakery that specializes in gourmet sticky buns, cinnamon rolls and liege waffles. 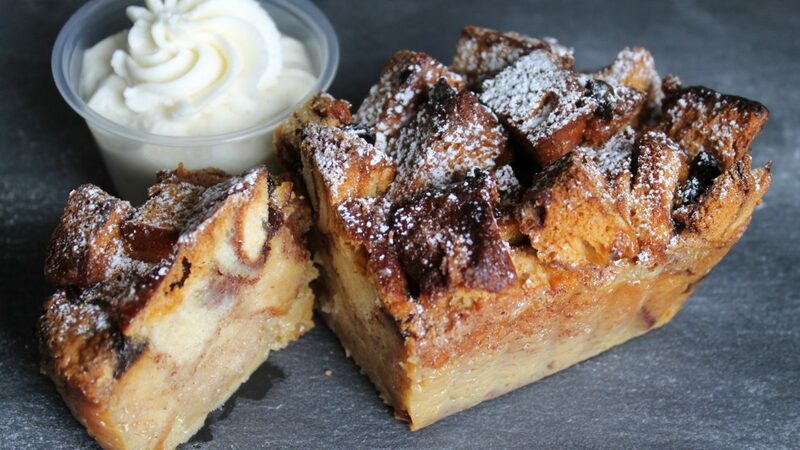 More than just buns, they offer other tasty baked goods including sticky bun bread pudding, Philadelphia butter cake, crumb cake, chocolate babka, and Jewish apple cake – to name a few. Break Juicery is bringing its delicious, innovative approach to The Bourse with its extensive variety of juices and smoothies as well as acai bowls and wheatgrass shots. 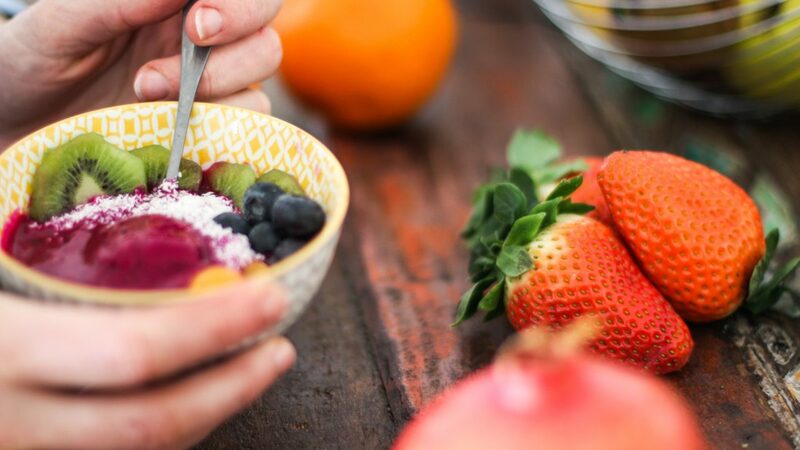 Boasting locally sourced and organic fruits and vegetables, their goal is to provide customers a better, healthier daily diet plan that cuts through the hype of celebrity “detoxes” and “cleanses” to restore the science of health. With a unique dough fermentation process and a water filtration system set to match the molecular makeup of Italian water, Bricco Pizza Romana offers Roman-style “pizza al taglio” that will have you walking the streets of Italy in just one slice. 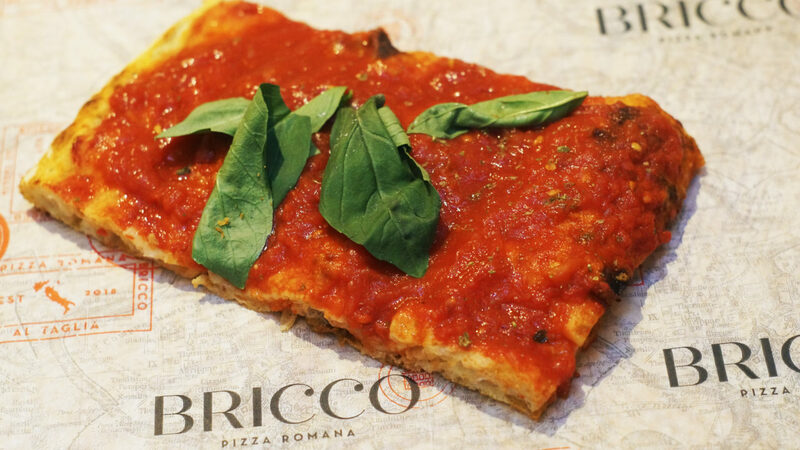 Bricco offers a variety of pizzas to choose from as well as classic Roman street food dishes, featuring all natural ingredients and imported speciality Italian ingredients. 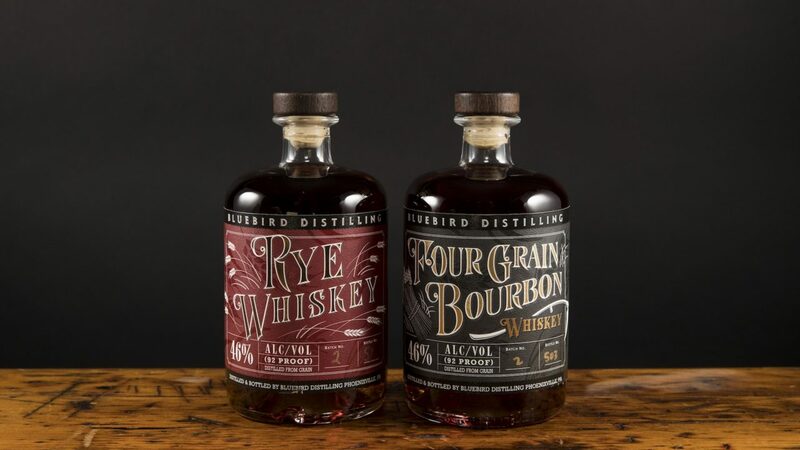 The Bar by Bluebird Distilling, headed up by Founder and Master Distiller, Jared Adkins, brings his extensive selection of grain-to-glass award-winning spirits, including Four Grain Bourbon, Straight Rye Whiskey, and Juniperus Gin to Old City with a craft cocktail bar featuring unique takes on the classics in addition to a rotating selection of one-of-a-kind creative concoctions. 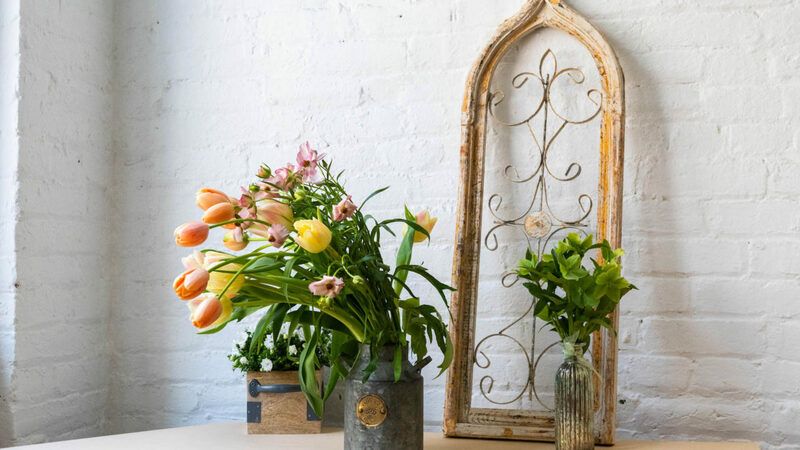 A third generation family-owned and operated flower shop serving the Greater Philadelphia region for over 75 years. Visitors to ‘Bonatsos at The Bourse’ will be delighted by floating terrariums and succulents, seasonal potted and hanging plants, mason jars filled with farm fresh locally-sourced wild flowers, and trendy bouquets with punches of color in addition to popular poseys of sunflowers, tropical foliage and exotic hard-to-find blooms. 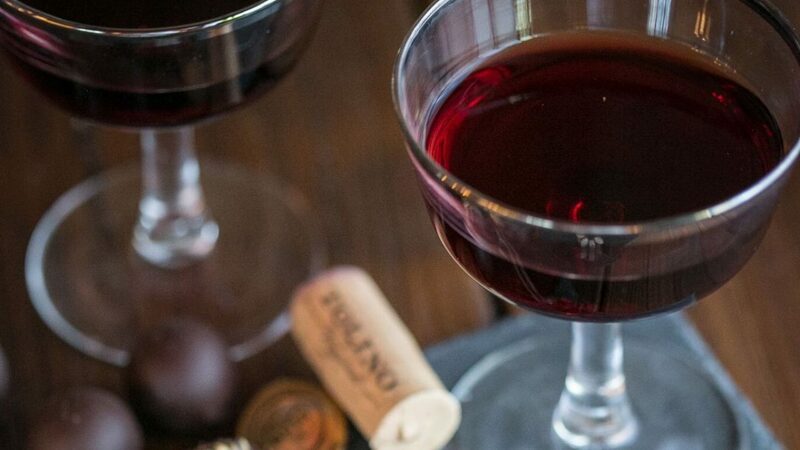 This fast-casual concept from the team behind Vera Pasta, serves made-to-order pasta meals alongside Italian wines and freshly packaged artisanal pasta to go. Customized pasta choices include a selection of signature dishes such as Nonna’s Ricotta Gnocchi, Wild Mushroom & Sage Ravioli, Mac N’ Cheese, and more. The experience is completed with choices ranging from Insalatas to Spuntini’s including crowd favorites like Cheesy Garlic Bread and a Bowl of Meatballs. 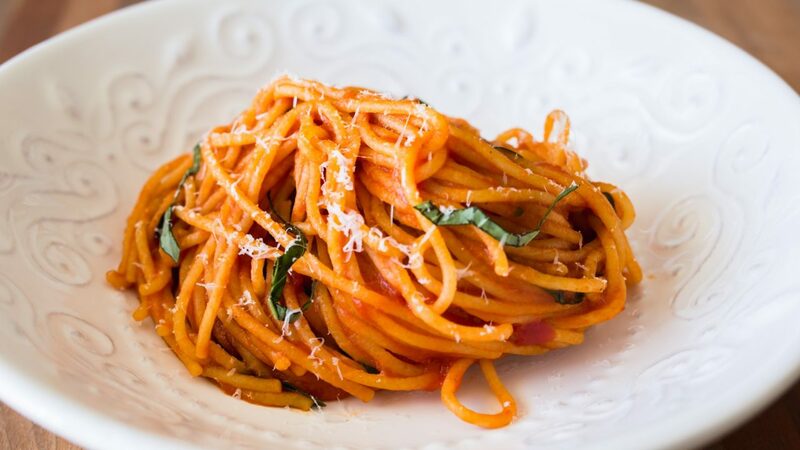 Bronze Table’s traditional and innovative approach to pasta making creates a truly unparalleled experience. 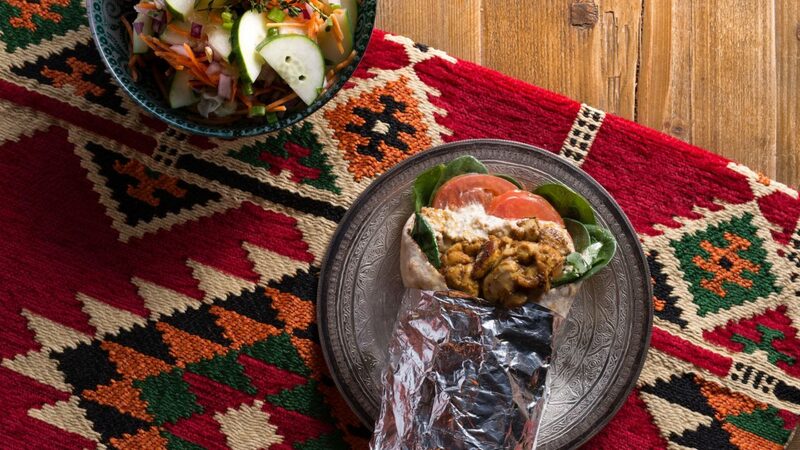 Chaat and Chai is a fast-casual Indian street food concept from Chef/Owner Anney Thomas. Originally located in South Philadelphia, Thomas immediately impressed lovers of global cuisine with a fresh interpretation of hard-to-find South Indian street food upon opening in 2015. In its first year, Chaat & Chai won Philadelphia Magazine’s coveted “Best of Philly” for Best Indian Restaurant and Craig LaBan, The Philadelphia Inquirer’s acclaimed food critic, named the Kerala beef short rib parotta one of the 12 best dishes of 2016. Now at The Bourse, Anney hopes to take advantage of a much-expanded kitchen to serve reimagined Indian fare such as Parotta Rolls, Grilled Tikka Sticks, Chaats and traditionally brewed Chai. Named one of the 10 best chocolatiers in North America by the Institute of Culinary Education, Chocodiem offers hand-crafted, artisanal Belgian chocolate confections along with a range of French macaroons, truffles, chocolate gelato, frozen hot chocolate varieties and more. In addition to their award-wining grab-n-go sweet treats, Chocodiem will boast a bar menu featuring Belgian chocolate & wine pairings as well as a cocktail menu with chocolate themed concoctions. 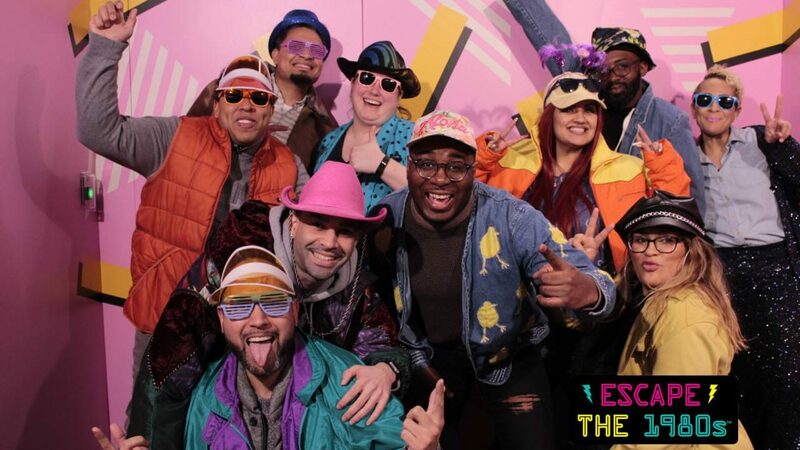 Escape The 1980s is a live-action escape game, where players work together with with one single mission: To get back to the future. Make calls from push button 80s phone, enter a “secret code” into a War Games computer, press “musical notes” to unlock doors — and tons more. Knight Rider, The Goonies, Walkie Talkies, Cabbage Patch Kids, 80s radio — these are just a few of the things you’ll need to use to Escape the 1980s. You don’t need to know anything about the 80s to play. Escape The 1980s is brought to you by Steel Owl Productions – producers of the escape games at the Franklin Institute — and a whole bunch of other really cool stuff. 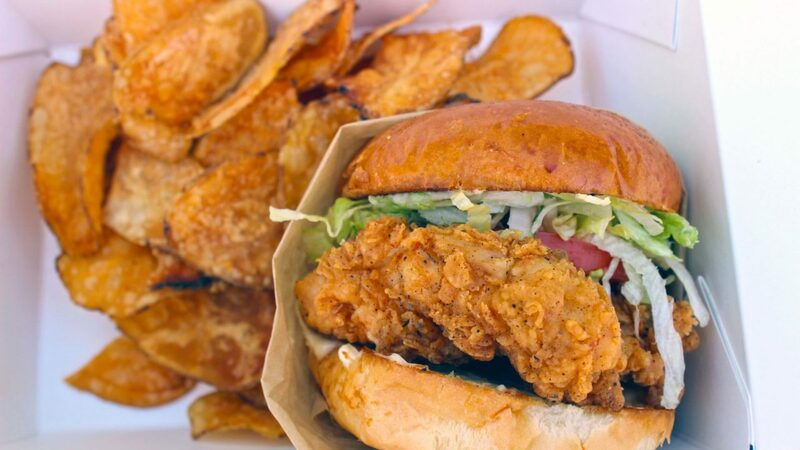 At Freebyrd Chicken, we make one thing – damn good chicken. We are starting a revolution against the bland and boring. Our menu is full of bold flavors – from our rich and spicy Nash Vegas Honey Hot Chicken to our take on an American classic the Philly Cheese – Chick, we have a sandwich that is sure to have you joining our revolution! We do chicken the right way. And if the right way for you is paired with an ice cold beer we’ve got that too. You’ll know it when you’ve tried it…that’s damn good chicken. A South Philly staple for four years, Grubhouse is back at The Bourse offering all-day breakfast and creative takes on American staples, including Breakfast Bowls, Breakfast Sandwiches, Pancakes, and more. Menu highlights include the über-popular Baconcakes, Hot Chicken & Waffles, Biscuits & Gravy and The Elvis (grilled sandwich with peanut butter, banana and bacon). 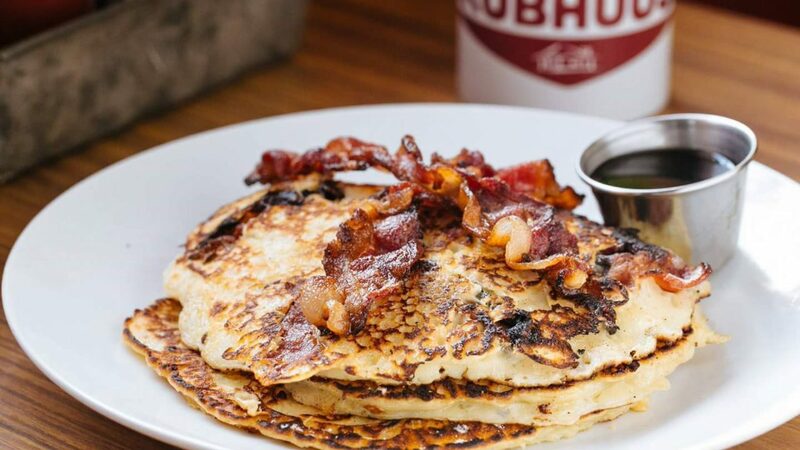 In addition to breakfast fare, Grubhouse will also serve Southern craft brews. Fast-casual, halal-prepared modern Egyptian cuisine from the owners behind The Taza Truck, voted Best Food Truck by Lehigh Valley Style readers 3 years running. Menu highlights include 16-spice grilled chicken, savory sumac peppered sliced steak shawarma, kofta, Egyptian fried chicken, spicy fried cauliflower, and more. Guests can choose a signature wrap, rice bowl, salad bowl or signature hummus power bowl or build their own. Other offerings include staples such as baba ghanoush with homemade pita chips, and traditional homemade desserts. Hailing from West Chester and Lancaster, Pennsylvania, Kari’s Tea Bar will offer healthy, made-to-order hot & cold beverages, including Elderberry Shrub, Kombucha on tap, hot tea lattes, Masala Chai Lattes, Matcha Lattes, Golden Milk, and more. 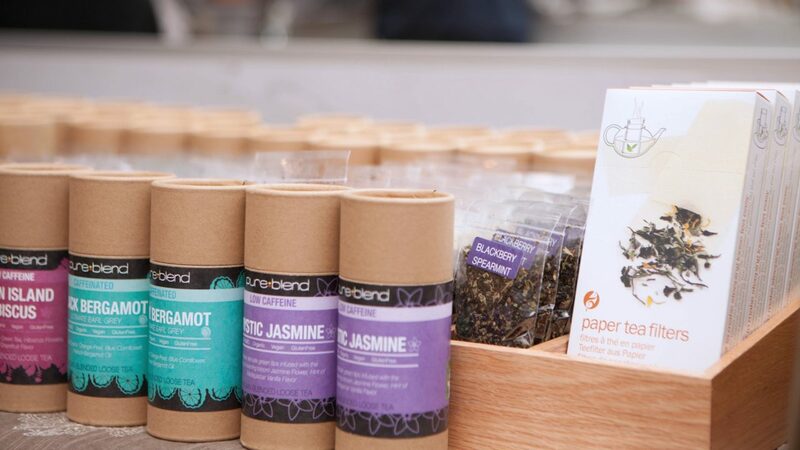 Patrons will also be able to purchase unique and hard to find tea blends to go, all of which are carefully hand-blended with organic and fair-trade ingredients. Neal Santos, Jillian Encarnacion and Resa Mueller, the industry veterans behind Pelago, a hospitality group specializing in Filipino-inspired restaurant pop-up events, bring the Philippines to The Bourse with Lalo, a fast-casual concept with a focus on Filipino comfort food. Named after the Tagalog words for grandmother and grandfather, Lalo is inspired by the approachable and friendly spirit of Filipino lutong bahay (Filipino home cooking). The menu will rotate seasonally, but highlights will include Inihaw and the Kamatis Salad. Lalo will also serve San Miguel beer and a selection of craft cocktails. 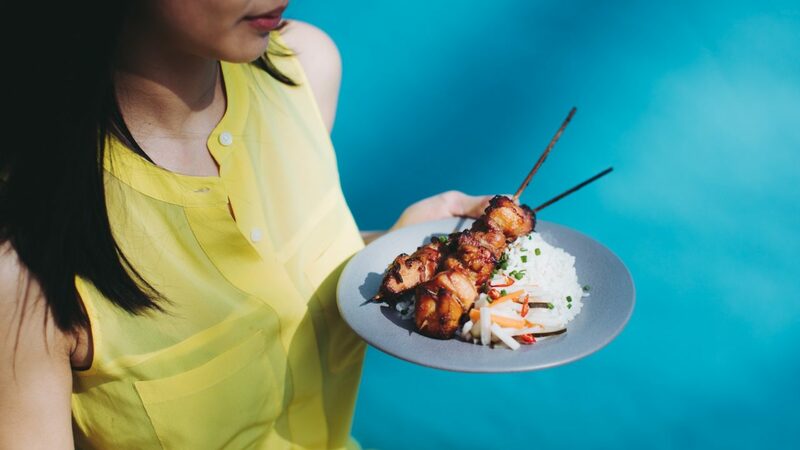 All of the Filipino recipes are sourced from Jillian’s grandfather who sold Filipino-style BBQ sandwiches and skewers from a small cart parked right across Independence Mall for three decades. Kain na tayo! Serving rib-eye cheesesteaks with choice of American, wiz or provolone cheeses wit’ or wit’out. Menu offerings range from a classic cheesesteak to a creative interpretation of a pizza steak. Chicken cheesesteaks are also available along with additional toppings and sides such as mozzarella wedges or fries. Patrons will be able to pair a local brew to accompany this Philadelphia staple. 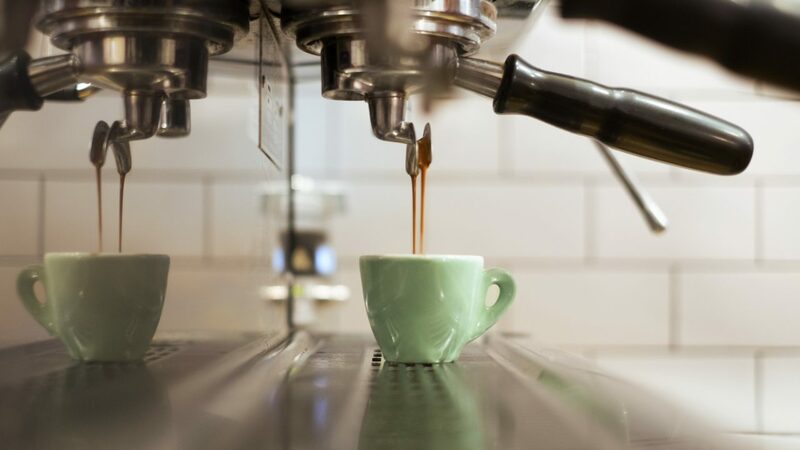 An Old City staple for the last five years, this locally-owned and operated specialty coffee shop opens up its second outpost in The Bourse and will keep patrons caffeinated with Dogwood Coffee and Elixr Coffee. The menu will include a variety of breakfast bites served seven days a week alongside fresh Machine Shop pastries delivered daily and made-to-order breakfast sandwiches. A winner of Philadelphia Magazine’s Best Of Philly, Menagerie Coffee has also been featured in Bon Appetit Magazine. 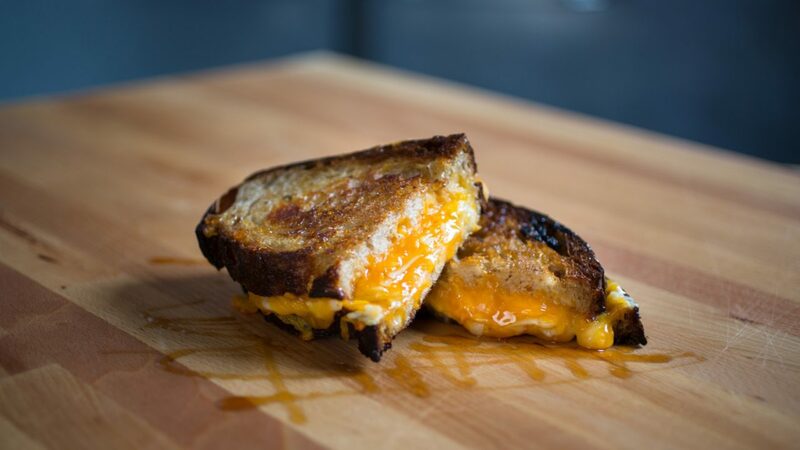 A mighty collaboration between Philly’s Mighty Bread Company’s Chris DiPiazza and Stargazy’s Sam Jacobson, Mighty Melt will offer inventive grilled cheese sandwiches crafted from fresh, artisan breads with creative pairings. Local cheeses will elevate each sandwich to perfection and the menu will also offer seasonal scratch-made soups, sides, fries and a newly launched alcoholic canned shrub. Penzeys Spices boasts a vast selection of well-curated, fresh, high-quality spices from around the world, including cinnamon, garlic, dill, and many more. 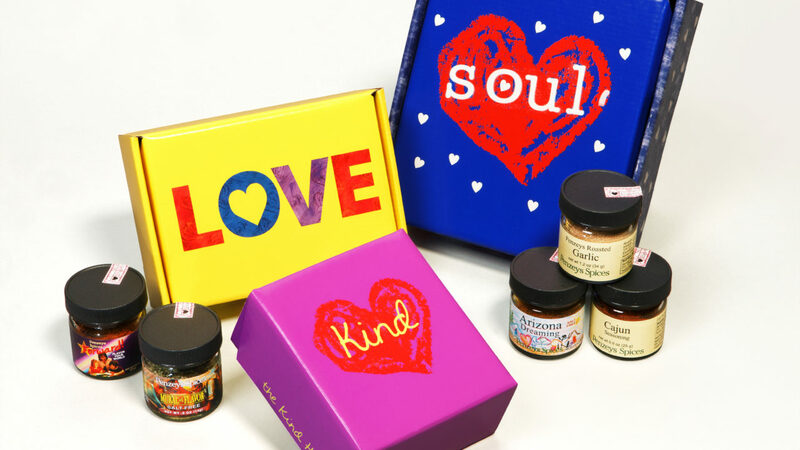 One of a kind spice combinations created by Penzeys are also available such as Mural of Flavor and Sunny Paris Seasoning. Recipes using these unique spices are available so chefs of all levels can explore the world of at-home cooking at The Bourse. Authentic, hand-pinched Chinese dumplings made in-house daily with organic and local ingredients currently found in DC and Baltimore. 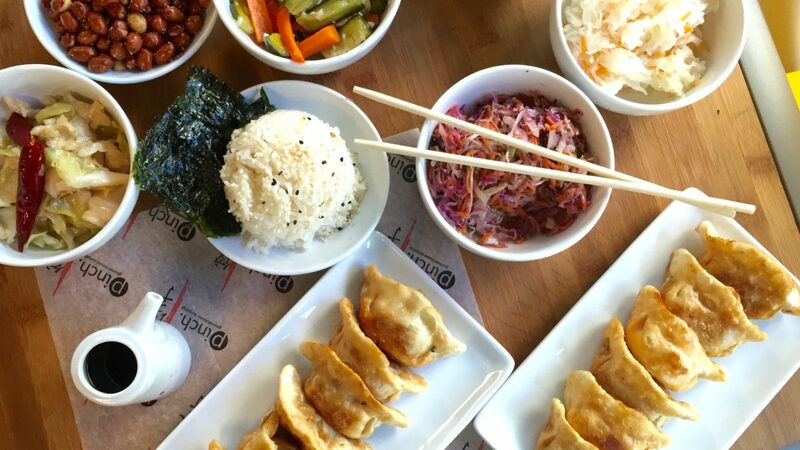 Pinch dumplings run the gamut from a base set of traditional recipes, utilizing classic and time-tested meat and vegetable combinations, to bolder flavors packed with exotic yet authentically crafted spices and ingredients. Pinch’s ever-dynamic menu will feature traditional pork dumplings as well as various combinations of lamb, beef, crab and vegetable dumplings. The first Philadelphia brick and mortar location for this acclaimed soup purveyor will offer a signature spin on chicken soup. Valerie Zweig and Taryn Pellicone started delivering soup to hungry bellies throughout the Washington, DC area in September of 2016. They’ve channeled their love of all things soup to create a business dedicated solely to churning out their signature chicken-based soups, dubbed bowls of liquid gold. 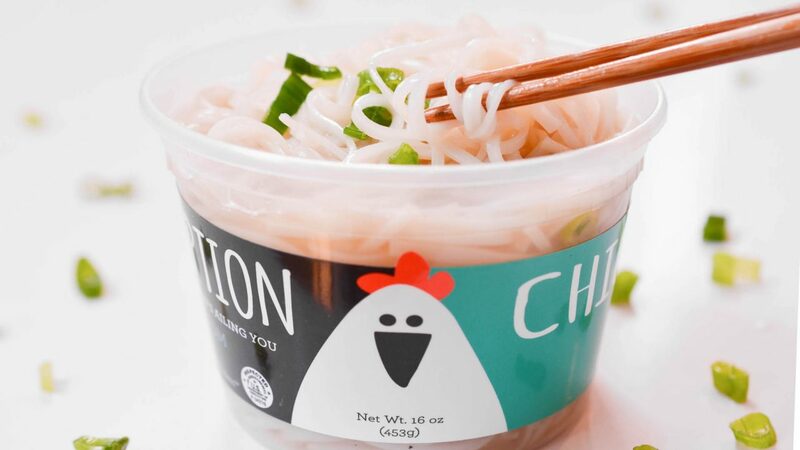 Prescription Chicken will cure whatever ails you, with everything from Matzah Ball Soup to Faux Pho, to a specialty soup dubbed The Hangover – a proven remedy for almost all of last night’s bad decisions. 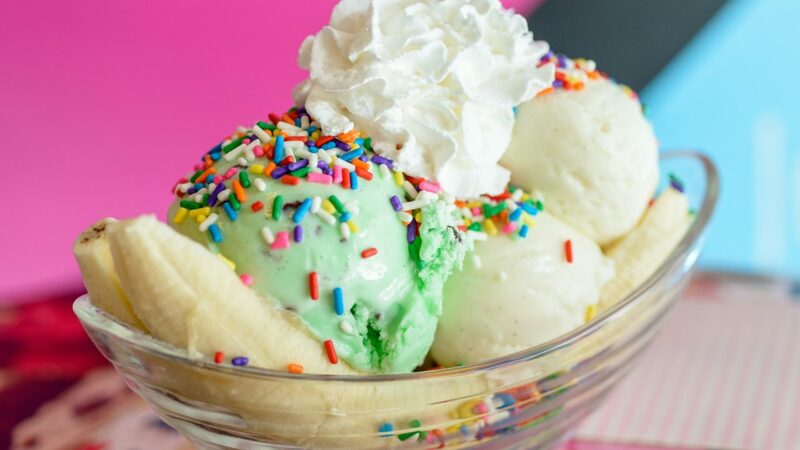 Scoop DeVille, a Philadelphia institution since 1989, is a one-of-a-kind ice cream parlor giving guests the opportunity to create custom scoops with their high-quality ice creams and toppings ranging from banana to bacon. Signature menu items include the now-famous Partially Baked Cookie Sundae, Edible Cookie Dough, and Cookie Cup-wiches. 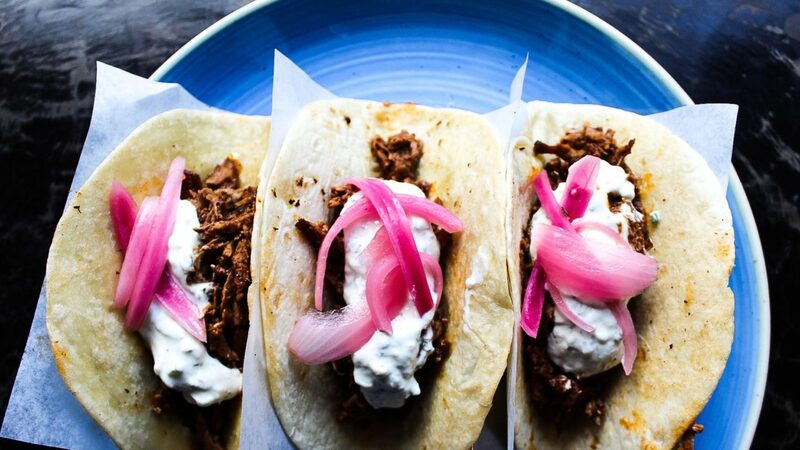 A new authentic Mexican taco purveyor from DC-based Social Restaurant Group. Rebel Taco steps outside the boundaries with bold, vibrant “not yo mama’s” taco flavors that will redefine the street taco. Everything is made from scratch daily using only the freshest ingredients, from the handmade tortillas to the sauces and salsa. In addition to tacos, the Mexican eatery will also serve margaritas. An authentic sandwich shop where Italy and Philadelphia meet. 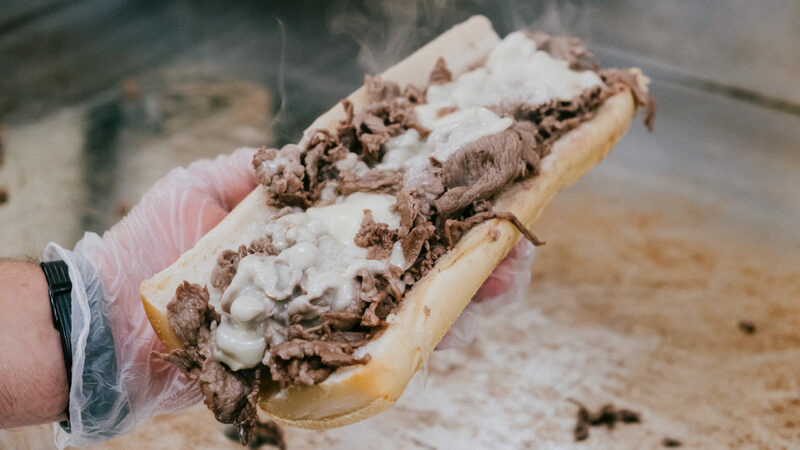 Owners and longtime Philadelphia residents, the Marino brothers, will be serving up delicious deli classics like House Roasted Pork, Sweet Italian Sausage, and Homemade Italian Meatballs. 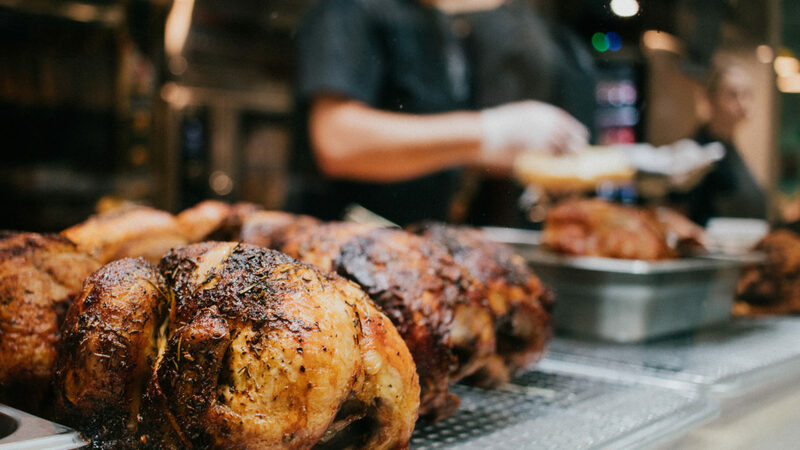 In addition to their signature sandwiches, Rustica will offer Rotisserie chicken and a variety of side dishes. 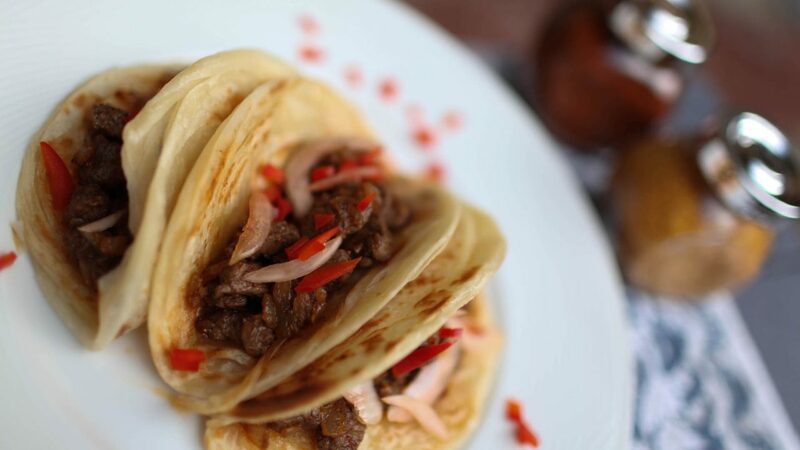 With four locations in the DC area, Takorean will bring a delicious combination of Korean-inspired flavors with a Latin-American twist. 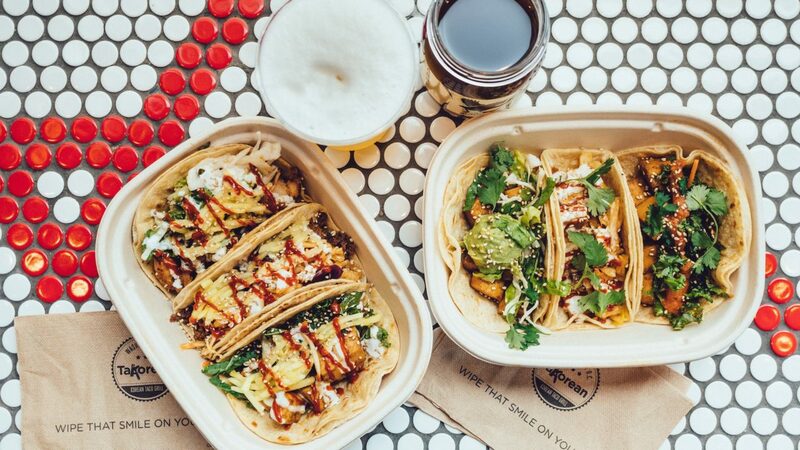 In addition to their signature Korean tacos, the menu will include Korean rice and salad bowls, all made from scratch with the freshest ingredients. Also offered is a fully customizable menu comprising of five primary proteins, a seasonal vegetable, an array of slaws, handcrafted sauces, toppings and garnishes. 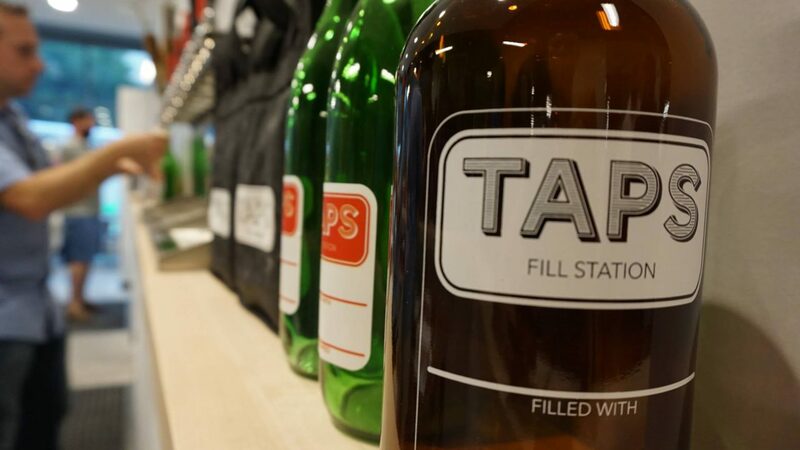 The second outpost from the Baltimore-based TAPS Fill Station concept specializes in all things on tap with a solid focus on locally sourced, eco-friendly and sustainable practices. The 36-line draft system will pull everything from beer (21 taps) to cider (5), kegged cocktails (2), red and white wines (6), and mead (2). Patrons can post-up and enjoy a beverage at their wraparound bar or take a growler to go.